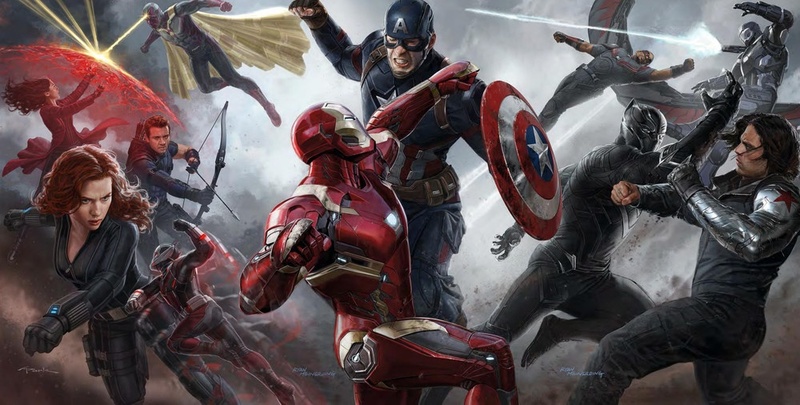 By this point, pretty much everything has been said about Captain America: Civil War that can be. The highly anticipated Marvel mammoth has impressed critics and audience alike and continues Marvel’s winning streak when it comes to the popular culture superheroes. Civil War is everything I’ve come to want and expect for a high caliber Hollywood blockbuster. Instead of delivering a critical analysis and review of the film, I would like to explore some of the ideas and things I really loved about Civil War. I have always had a fondness for 2011's Captain America: The First Avenger because he has been my favorite hero since I was young. The Captain America comics not only present an interesting character study and inspiring story, but my love for his lore grew out of an interest of WWII propaganda and art. My fascination with the over exaggeration of American propaganda was something I explored a lot during High School and even went as far as to have a “We Want You” Uncle Sam poster on my bedroom wall. 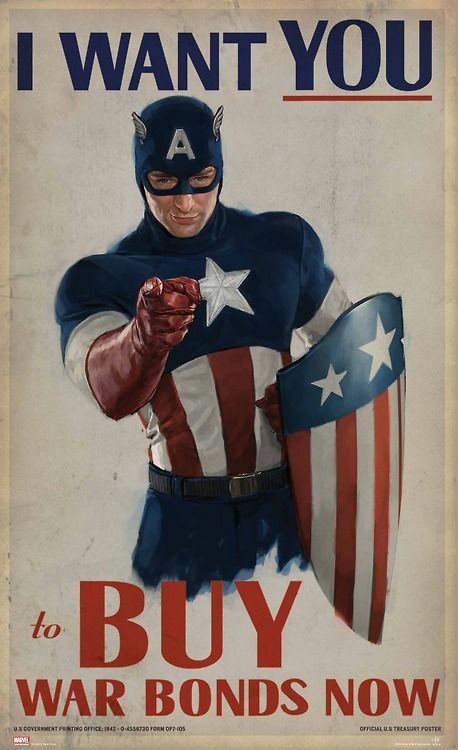 When I discovered Captain America, I soon learnt that his creation was an extension of American ideals at the time. What interested most about his current influx into modern pop culture is the changes he has gained based on political and social climate. You can get a growing sense of this throughout the Winter Solider and now Civil War. Mistrust in the government and international security is very much the backdrop that these films have grounded themselves in. Not to mention the current "VS" trend that seems to be mirroring the upcoming election. I believe that they will be highly scrutinized when we look back at the superhero renaissance. Since his creation in Age of Ultron, Vision has been one of my favorite onscreen heroes ever. His brilliant portrayal by Paul Bettany provides a complicated humanoid whose existential worldview provides an interesting parallel to the constant optimism of the MCU. I was a little disappointed to find out the direction in which Vision had grown between Ultron and Civil War. The new “fish out of water” robot trying to understand humans is played as comic relief as opposed to conflicting ideologies. However, Bettany’s performance and the talented writers are what keep him on a consistently interesting path. Even though his angst seems to be missing, I still get sense of realism in his strive to be human and his scenes are undeniably entertaining. Vision is a flawed character who makes one of the biggest mistakes in the film and I can’t wait to see what his repercussions are for his “missed” opportunity. I would hardly call Civil War a Captain America movie due to the fact that Cap is one of the only characters that doesn’t go through any change or ark over the course of the film. But I understand by this point pretty much everything that isn’t a prequel will act as an Avengers movie. What Batman V Superman did so wrong with only two characters, the Russo Brothers pull off with multiple characters and story-lines. What makes Civil War such a pleasure to watch is the intricate attention the balance of each of the heroes we know and love. I understood both sides of the argument and could sympathize with Tony and Steve simultaneously. Equal care and attention is given to almost every character that provides context and rhyme to each of the scenes. If you are a fan of a particular hero, you don’t have to wait long for them to get an interesting scene that fittingly progresses the story. Never once did I feel cheated or bored, even the introduction of Spiderman is handled with a grounded sense of reality. Speaking of the web-slinger, one of the reasons Civil War doesn’t become bogged down by its own self serious story (cough BvS cough) is because it understands the inherent silliness of superheroes. Between every punch is a punch-line and in every scene there is a chuckle. It’s nice to be reminded that the audience is there for a good time. We sometimes forget that in the modern age of dark, brooding films. It’s as if Civil War is almost challenging the audience not to have good time. This is partially due to the genius decision to include Antman and Spiderman. When we watch our favorite heroes battle it out, the fans inside of us get giddy with joy. Antman and Spiderman are just as excited to meet and see the Avengers as we are. When we get to see them interact with the original Avengers, they almost act like an audience member who has entered the film and there is a real thrill in that. Without delving too much into spoilers, it’s safe to say that Civil War contains one of the most impressive superhero action sequence ever. The reason the action works so well is because, as stated above, the balance and humor compliment all the cool mind numbing fight stuff. It layers depth that a lot of action movies forget to do. 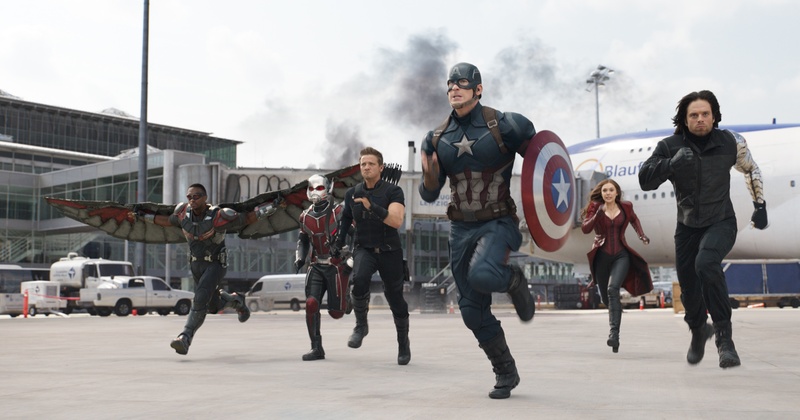 It’s interesting to note that in a similar fashion to Deadpool, the “civil war” of Civil War takes place in a pretty generic airfield location. The reason it failed to be interesting in Deadpool is because they never utilized the environment in a fun or contextual way. In Civil War, however, the environment is constantly interacting with the heroes and at least gives the illusion that this fight wouldn’t happen the same way anywhere else. Deadpool, Batman V Superman and even Ant-Man to some extend got distracted by its own characters. That’s not to mention that the airport provides a getaway for the fleeing hero and thus a source of tension. One of the most surprising take away from Captain America: Civil War was the fact that I came out of the movie feeling inspired. Not just inspired as a filmmaker, but in life in general. It’s weird to say that a cheap thrills blockbuster made me feel uplifted at the end, but I really think the Russo Brothers were making a point of this and that’s what makes a great Summer flick.